Mari Sato, violinist, is on the faculty at the Cleveland Institute of Music and is a member of the Cavani String Quartet. 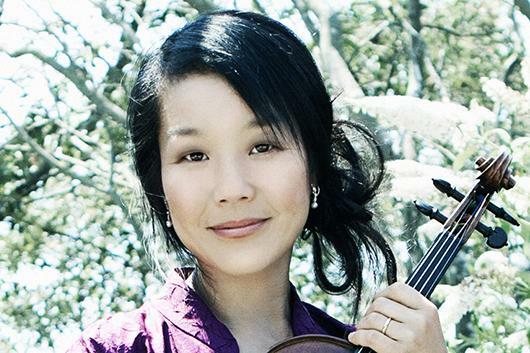 She is the winner of numerous awards and prizes, including the Naumburg Chamber Music Award. Sato has toured throughout the United States and abroad with her quartet, including appearances at Carnegie Hall, Corcoran Gallery and Kennedy Center in Washington D.C., and the Festival L'Epau in France. Sato has had the honor of performing with distinguished artists including members of the Cleveland, Juilliard, Miami, Ying, Emerson, Borodin, Amadeus, St. Lawrence and Colorado String Quartets, the Weilerstein Trio, Itzhak Perlman, Robert Mann, Anton Nel, Stephanie Blythe and Charles Neidich. Ms. Sato and her colleagues in The Cavani Quartet were named Musical America's Young Artists of the Year, received the ASCAP-Chamber Music America Award for Adventurous Programming of Contemporary Music, the Guarneri String Quartet Residency Award, the Ohio Governor's Award and five Chamber Music America Residency Partnership Grants. Deeply committed to arts-education, Sato has given master classes and lecture demonstrations at music festivals, universities and public and private schools in communities all over the country. This masterclass is free and open to the public.